Hello! I’m back from a lovely summer. You can read a little bit about it in my latest post at Girls Heart Books, and check out my Chicklish roundup of some of the book I read while I was away. 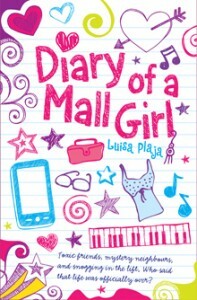 Diary of a Mall Girl, the book originally written interactively in instalments for Fiction Express, is set to be published as a print book and an ebook by Curious Fox in spring 2013. Find out more about it at my Diary of a Mall Girl page and, of course, at Curious Fox. Random House have launched a new website called Totally Random Books. 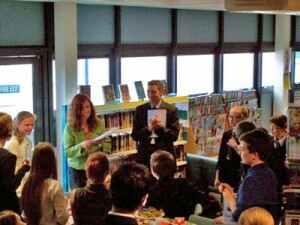 It has competitions and author features, and you can look up all sorts of books there, read extracts and leave reviews. Here’s a page of my Totally Random Books. Kiss Date Love Hate was reviewed recently by Stuck in a Book, and also as part of Contemporary Summer at Planet Print. Thank you, brilliant bloggers!